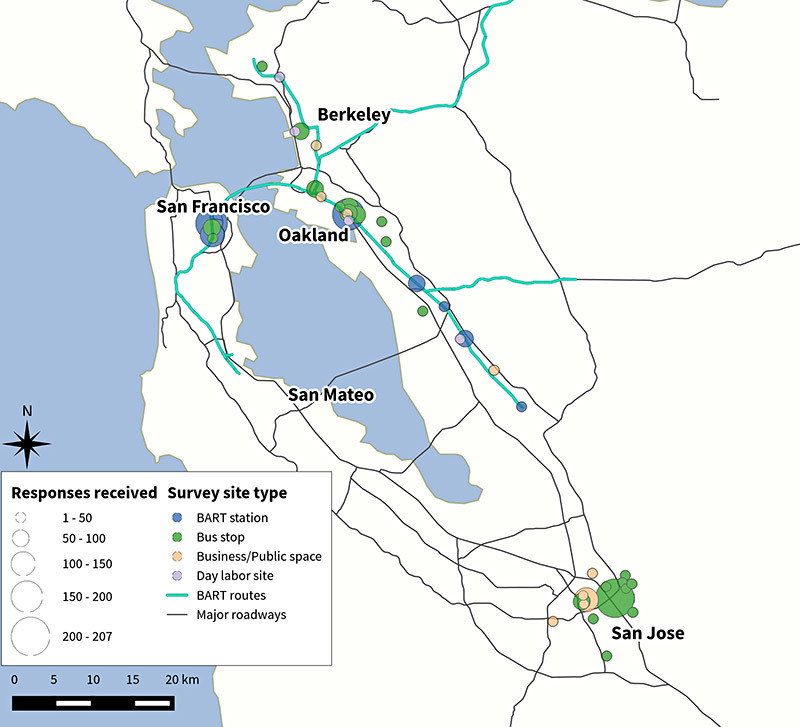 For more than half a century, CED’s Department of City and Regional Planning has emphasized critical inquiry, multidisciplinary research, and collaborative insight to address the complex challenges confronting urban environments. Its history of academic excellence has been validated by the many accolades bestowed on the Department’s outstanding students. Since 1995, 14 DCRP doctoral students have been commended for their dissertations. Recently, two DCRP doctoral candidates were honored for their exceptional work. 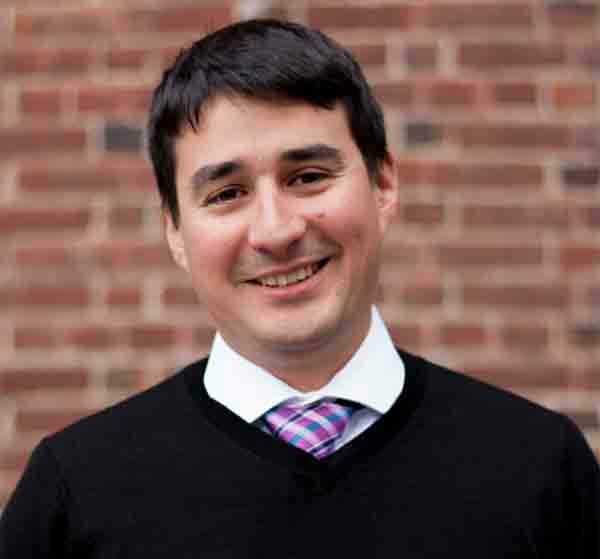 Jesus Barajas (PhD City and Regional Planning ‘16) was awarded the Council of University Transportation Centers (CUTC) Charley V. Wootan Memorial Award recognizing the best dissertation in policy and planning in transportation for 2016. Ricardo Cardoso’s (PhD City and Regional Planning ’15) doctoral dissertation “The Crude Urban Revolution: Land Markets, Planning Forms and the Making of New Luanda” won the 2016 GPEIG Gill-Chin Lim Award for the Best Dissertation on International Planning. Jesus M. Barajas is currently a postdoctoral scholar at the Safe Transportation Research and Education Center at UC Berkeley, where he studies pedestrian and bicyclist safety. His research interests focus on issues of social equity and justice in transportation, and he has completed other projects on disparities in bicyclist safety, and travel burdens for low-income families and school children. 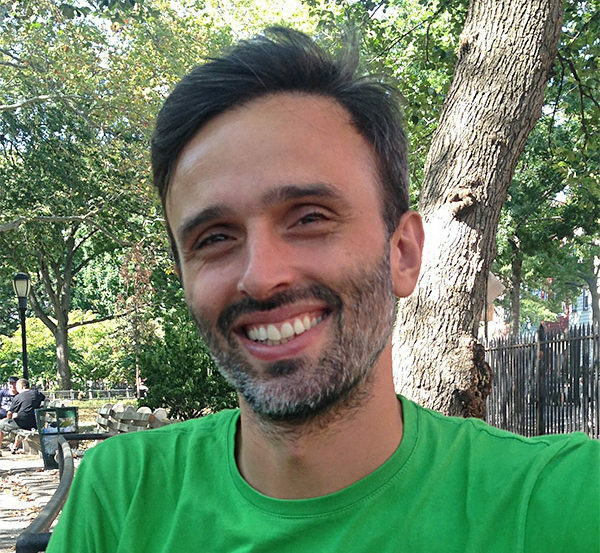 Ricardo Cardoso is a Faculty Fellow in the Department of Social and Cultural Analysis at New York University. 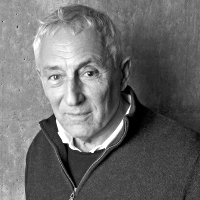 In addition to being a DCRP doctoral alumnus, he holds degrees in urban development planning from the University College London and civil engineering from the University of Porto. At NYU Ricardo teaches in the Metropolitan Studies Program and his current research looks at forms of Brazilian city-making in Angola. Both Jesus and Ricardo have provided overviews of their dissertations below. Immigration will drive population growth in the United States for the next half century, most of which will come from Latin America and other developing countries. New immigrants tend to travel by cheaper and more sustainable modes of transportation when they arrive, but as they settle in they gradually adopt the American love of the automobile. For planners, these trends present a dual challenge: how do we equitably provide service and plan for newcomers’ transportation needs, while capitalizing on what motivates them to bicycle, walk, and take transit to reduce the likelihood that they will drive later on? “Making the Invisible Rider Visible: Motivations for Bicycling and Public Transit Use among Latino Immigrants” takes up this issue. 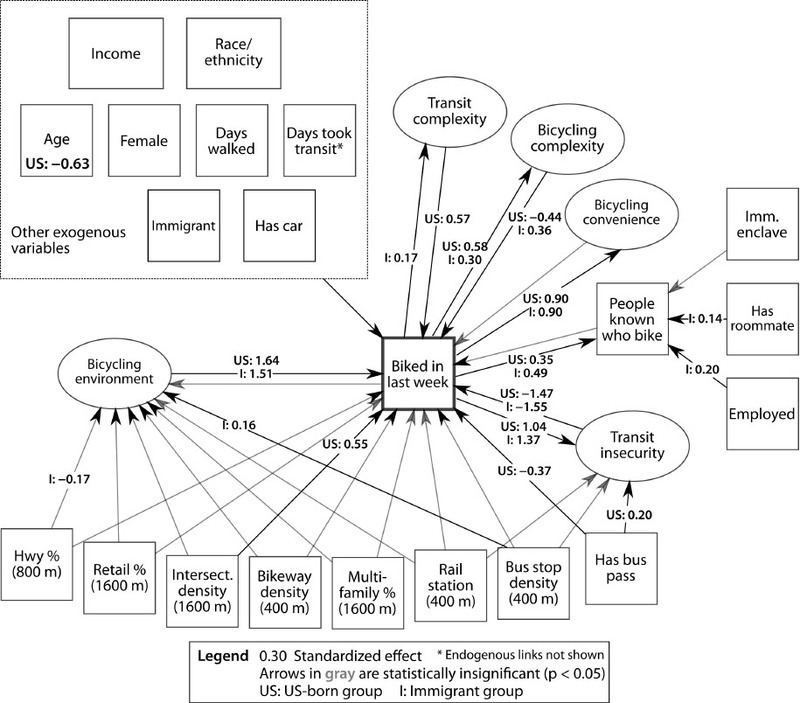 My research looked at the influences that compel Latino immigrants to bicycle and take public transportation in the San Francisco Bay Area, and what are their experiences doing so. I surveyed over 2,000 people and interviewed two dozen Latino immigrants in the core of the region to explore these questions. Respondents came from mostly low-income households, earning $25,000 or less. Just over one-third of the survey respondents were immigrants, almost everyone rode public transit, and about a quarter rode a bicycle. All of the interviewees were Latin American immigrants who had ridden a bicycle at least once in their lives. I found that there were only a few differences between immigrants and non-immigrants in what motivated them to take public transit or ride a bicycle. 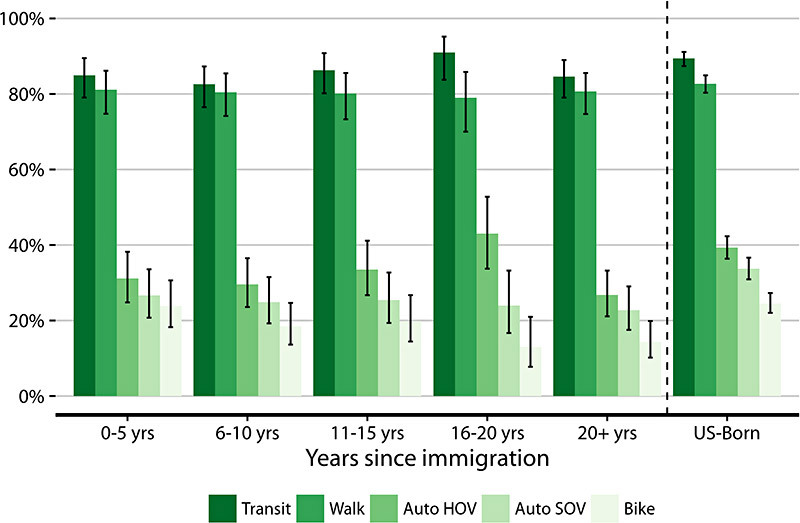 Higher-income immigrants were less likely to take transit as frequently as higher-income U.S.-born adults, while lower-income immigrants rarely took transit or rode a bicycle when they had the option to drive. Even in our transit-rich and bicycle-friendly region, having access to a car seems to play a more salient role in immigrants’ transportation decisions than for others. For those who bicycled at all, attitudes and social environments — “soft” factors that planners do not usually consider under their purview — played the strongest roles in their choice to travel by two wheels. The link between bicyclists and knowing other people who bicycle was stronger for immigrants, suggesting that cycling is an important social activity for them. Many people I interviewed talked about how finding a social network among cyclists helped them learn to navigate the city and empowered them in the face of life obstacles. Planning for transportation sustainability and equity requires us to address these soft influences on travel. 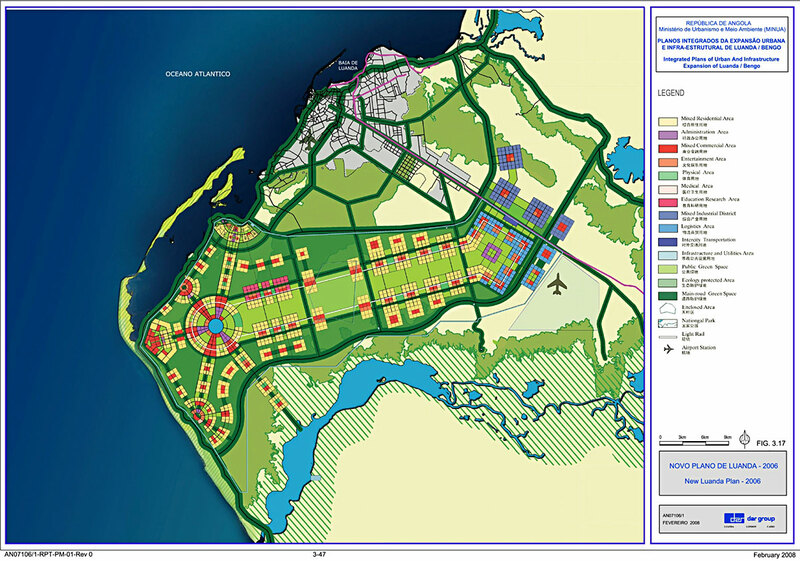 2006 Plan for the New City of Luanda. 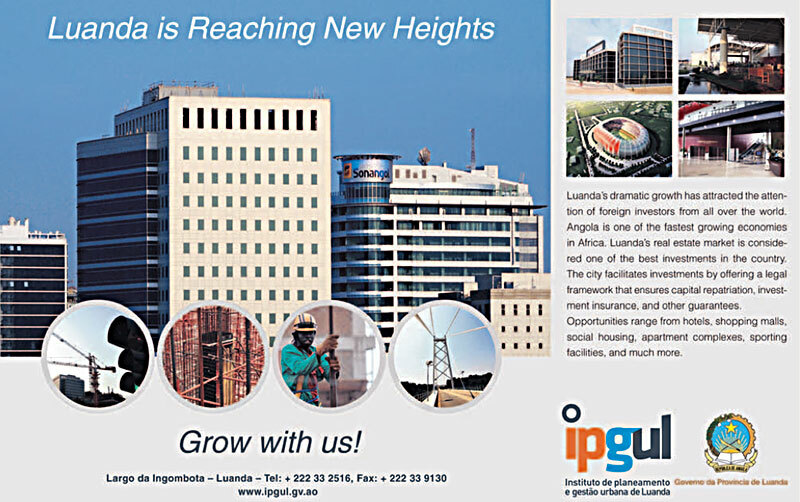 IPGUL: Luanda is Reaching New Heights. Set in a context of post-war reconstruction and a rapidly growing oil economy, “The Crude Urban Revolution: Land Markets, Planning Forms and the Making of a New Luanda” is an in-depth study of two decades of social, spatial, and institutional change in the capital city of Angola. Since the mid-1990s, but especially after the end of the civil war in 2002, Luanda has gone through massive transformations, extending from a wide-ranging series of piecemeal adjustments in the politico-administrative setup of the city to the rise of new towns in and beyond the periphery. Focusing on how the government and a multiplicity of private actors have been shaping the emergence of this apparatus of urban order, through both ethnographic and historical approaches based on extensive fieldwork in Angola, “The Crude Urban Revolution” shows how crude oil became the fundamental ordering substance of official urbanism in contemporary Luanda. In doing so, three interrelated stories are told. The first is about the formation of an official market for land and real estate. 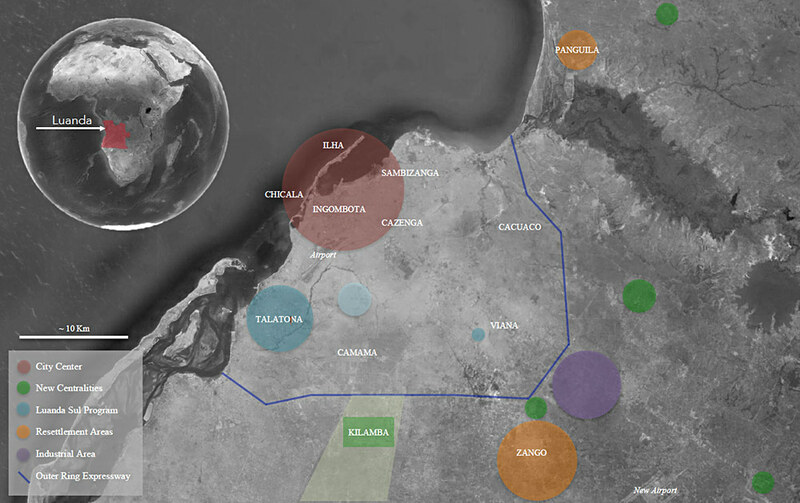 Providing an analysis of the Luanda Sul Program, a public-private initiative aimed at stimulating formal land transactions, this story maps out the establishment of its main private partner — the Brazilian firm Odebrecht — in Angola. This provides a vantage point to see how oil enabled the real estate market to be introduced as a means for promoting urban development, and to make sense of what arguably became a crucial reference model for subsequent state-sanctioned interventions in Luanda. 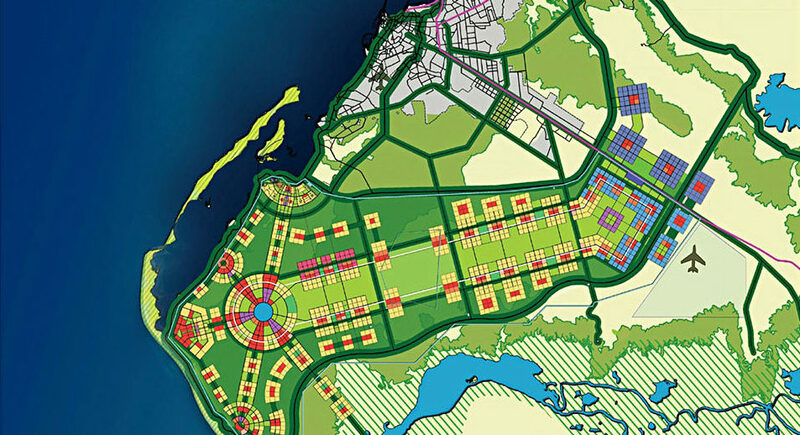 The second story focuses on the creation of the Luanda Institute of Planning and Urban Management. Delving into the vicissitudes of planning forms and institutions, the ensuing analysis offers a reflection on law, planning and the practices of the state. Luanda’s planning realm is considered here as a heterogeneous and highly contested arena where bureaucratic complication becomes a mode of rule and oil emerges as a key agent for dissolving the entrapments of official planning processes. The third and final story of this dissertation is about the emergence of a new mode of city-making. Examining the urban development apparatus that led to establishment of Luanda’s New Centralities, this story traces the intricate ensemble of oil deals, financial transitions, urban developmental ambitions and modes of planning expertise that connect the undersea of the Angolan coastline to the rise of new cities in the periphery of Luanda, via circuitry threads that extend to Beijing and Hong Kong.